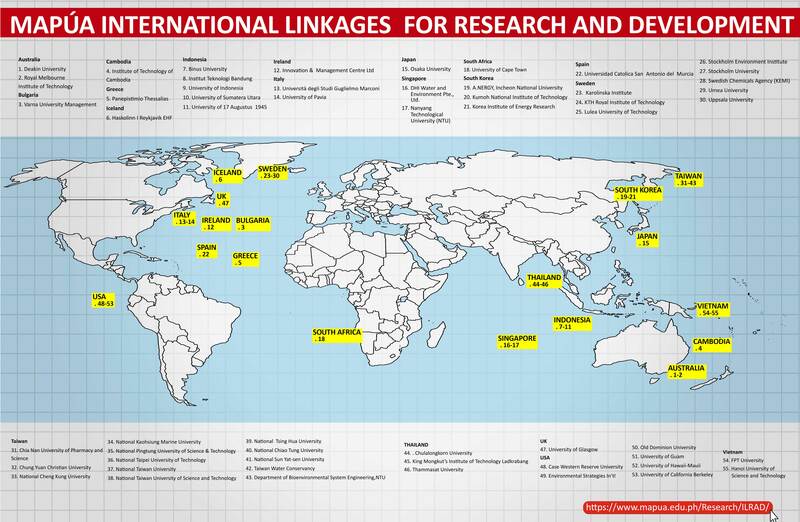 The Office of International Linkages for Research and Development (ILRAD) was created in the latter part of year 2012. 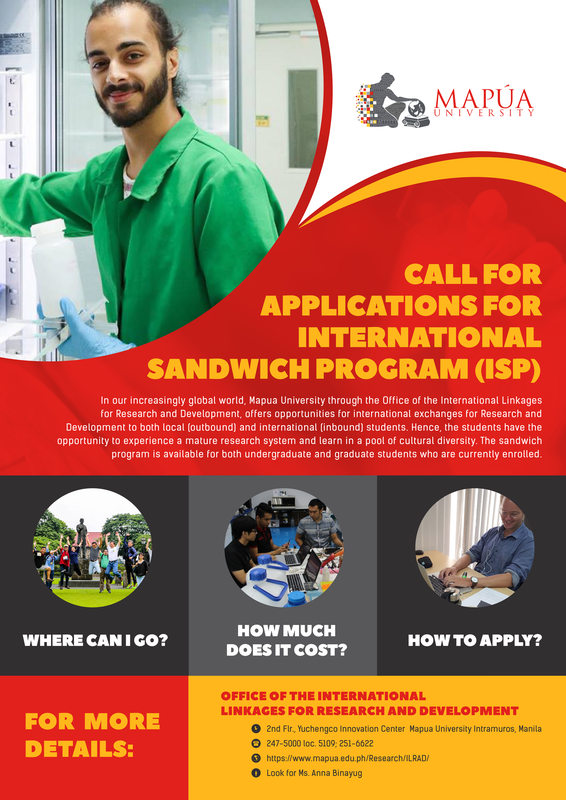 This is to address the growing needs of Mapúa University for international visibility for research and development (R&D), to be at par with its international counterparts, and to be globally known for its R&D capability. The primary objective of ILRAD is to create opportunities and establish platforms, venues, and avenues for research together with international research partners and/or collaborators. This will then lead to the creation of new knowledge that would be utilized for the development of new service, process, device, instrument, and product with economic value that could be used for improvement of society. This platform encourages more researchers and funders to come together and innovate. It is expected that ILRAD could pull more international experts and resources to become part and participate in Mapúa’s R&D group. Keep Ourselves Abreast with International Research Engineers and Scientists. The Mapúa Office of International Linkages for Research and Development shall be known globally as an efficient, effective, and sustainable linkage center for research and development. 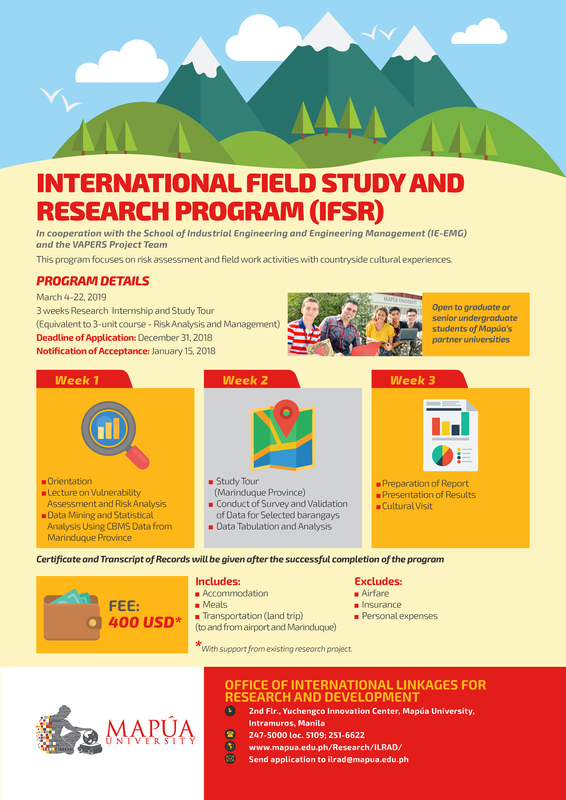 The Mapúa’s Office of International Linkages for Research and Development shall create and establish platforms, venues, and avenues for international research and development (R&D) collaborations and cooperation with competent international partners. ILRAD shall create opportunity to produce high impact researches with the ambience of “technopreneurship” of global standards that could provide solutions to societal problems. ILRAD shall facilitate the processing of travel needs for outbound researchers and the hosting of inbound researchers.